This sculpture stands approximately 8" tall and is about 10.5" long from head to tail. 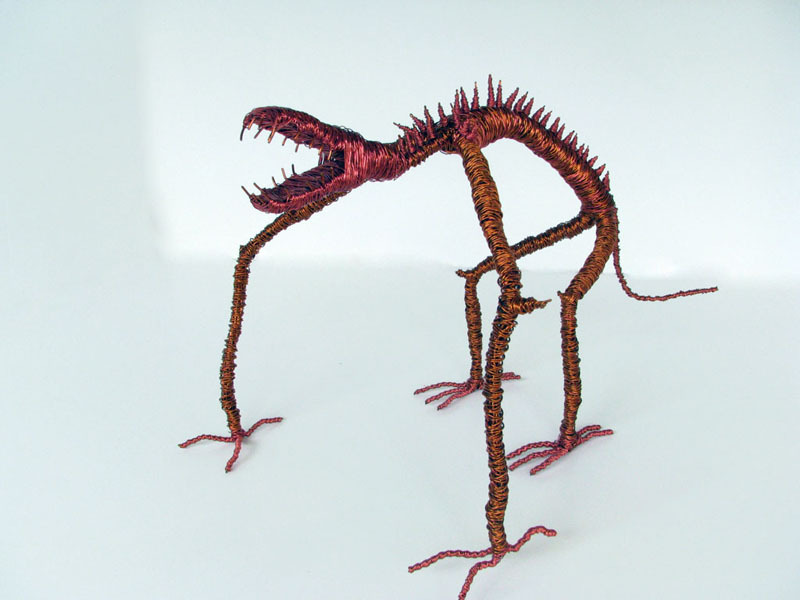 One of my favorites, this nightmare creature is what I always imagined what a grue would look like. (If you've ever played the old-school, text-based Zork games, you already know what I'm talking about. Plus, bonus nerd points.) Since grues lurk in the dark, eyes are not necessary; also, a predator that can still find you without being able to see you is just that much scarier. I set out to just make some skinny creature with lanky limbs and a mouthful of teeth, and wound up with a grue. Who knew?